2.5x5 tin triangle. From Chevron- Richmond. 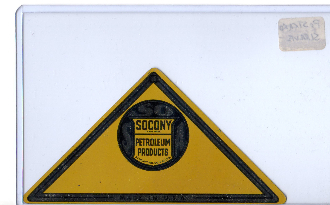 Socony SA tin label.